Paris is often known as the City of Lights. To many ladies, Paris is also the City of Love. Strolling along romantic Seine river, having a nice coffee at Parisian cafes, taking the “classic photo” (aka lovebirds kissing) in front of Eiffel Tower all sound super romantic. With all these “perfect images” in my mind, I was so excited when I had the chance to visit Paris 5 years ago. Oh well, I am not sure if I had set my expectation too high but I was really disappointed with that trip. Yes, I managed to check off all the “must see” sights in Paris. But somehow, I just don’t feel that the city is at all romantic. Family and friends were telling me how much they loved the city and I was wondering “what? ?” The people that I bumped into were rude, I was super wary of pickpockets and was on high alert, there were friendship bands sellers who tried to grab my hands to tie the bands on, the streets did not look clean and I could just go on with list of why I feel that the reviews were over-rated. 5 years later, unexpectedly, I came back to this city yet again, all thanks to the fact that the air ticket back home from London was ridiculously expensive and by flying out of Paris will save me quite a significant amount of money. What made the trip even better was that I got a free night stay at Millennium Hotel Paris Opera (all thanks to American Express Ascend credit card). As I board the TGV train from Brussels to Paris, I was telling myself I would give this city a second chance to court me. Hopefully this time round my experience will be good. Indeed it was. In just one night, I fell in love with this city. 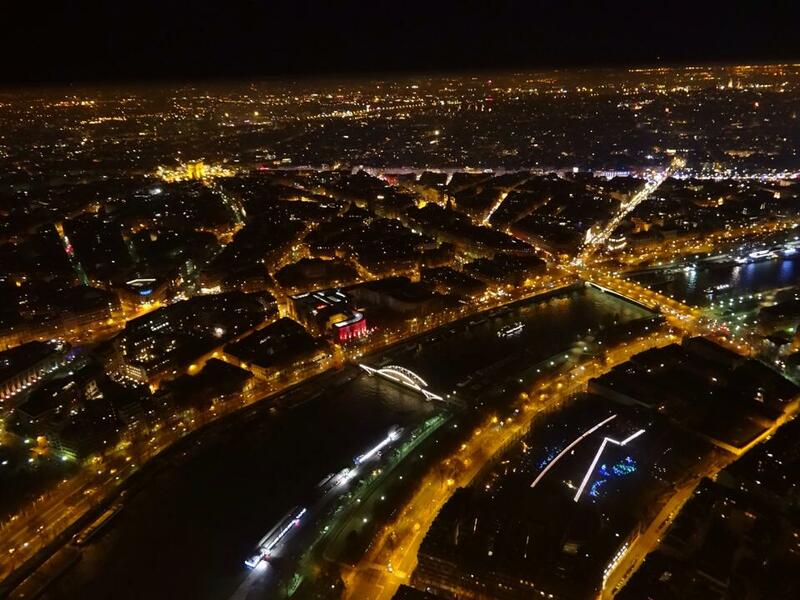 As I had done my sightseeing in my previous trip, I decided to just wander around the streets, sitting in the Parisian café, went to top of the Eiffel tower to see the night lights and enjoy some champagne and macrons. I bumped into some nice train ticket conductor (he is quite a good looking guy too lol) who was smiling and winking to me as he was checking my ticket. Strangers on the street who I have asked for directions were also super helpful. Best of all, Millennium Hotel Paris Opera upgraded my free standard room to a suite! All my experiences in this trip were a far cry from what I have experienced 5 years back. Also, maybe this round I was not preoccupied with checking off the boxes and could just followed my heart as to what to do next, the feel was somehow different. I began to see the city in a different light and started to love this city. 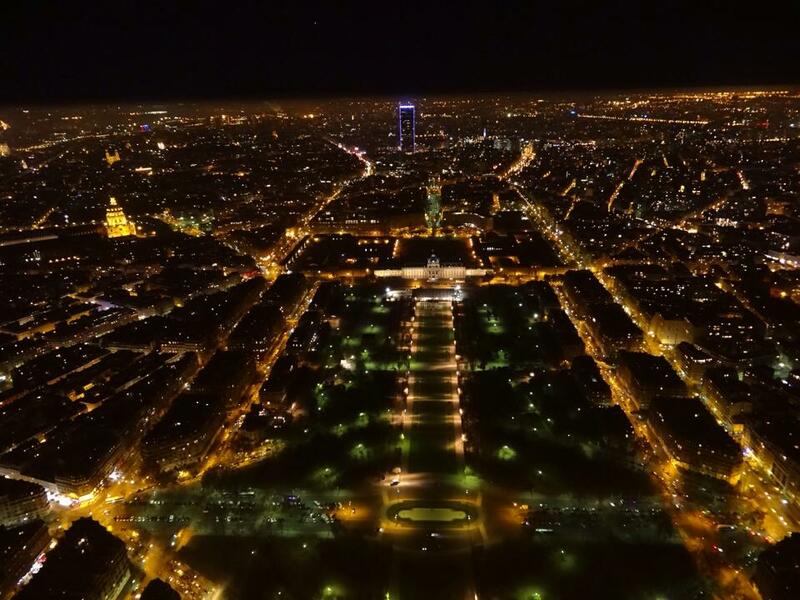 As I ascended up the Eiffel Tower to the top level, the city was just beautifully lighted up with lights. So this must be why the city has the honour to be called the City of Lights. Not just that, I can sense the romance in the air too! Even though I spent a limited time in Paris this time round, I was so glad I came back to the city 5 years later. It was surely not love at first sight but now I loved the city which is romantic indeed. 1) By air: Charles De Gaulle airport (CDG) is an international airport and is where most international flights to France will land. It is about 23km from Paris city centre and is easily accessible by trains, taxi or airport shuttles. You can refer to CDG website for connection details http://paris-cdg.worldairportguides.com/shuttles-taxis-trains.php. It’s not too difficult to travel to/fro CDG and the city via the metro. However, if you prefer door to door transfer especially if you are carrying lots of luggage, the airport shuttles are a good alternative as they are much cheaper than the taxi. 2) By train: Note that there are various railway stations in Paris so do take note which train stations are you arriving at or departing from. For example, Eurostar and Thayls will stop at Gare du Nord. Trains from Germany usually comes to Gare de l’Est. Trains from Switzerland and Italy typically come to Gare de Lyon. Eurostar connects London to Paris in 2.5 hours. TGV and Thayls trains connects Brussels to Paris also in less than 1.5 hours. 3) The metro is an efficient and cheap way to navigate around Paris. Tickets can be purchased individually (un billet) or in ten-packs (un carnet de dix). It is of course cheaper to buy the ten-packs, which you can share amongst the family and friends. To gain access to the station, you will need to insert the ticket into the turnstile. When exiting, you just need to push the gate (no ticket needed). I dropped my ticket as I entered the turnstile and did not bothered to pick it up as I thought that it was not needed to exit later. Murphy’s law always seem to work and train conductors came to check for tickets. I have to explain that I lost it and thankfully the train conductor was nice enough to tell me not to worry (possibly seeing my panicky expression). So do make sure that you keep your ticket with you throughout the trip. There is hefty fine for not having a valid ticket (I was just lucky). 1) Do visit Eiffel Tower at night. 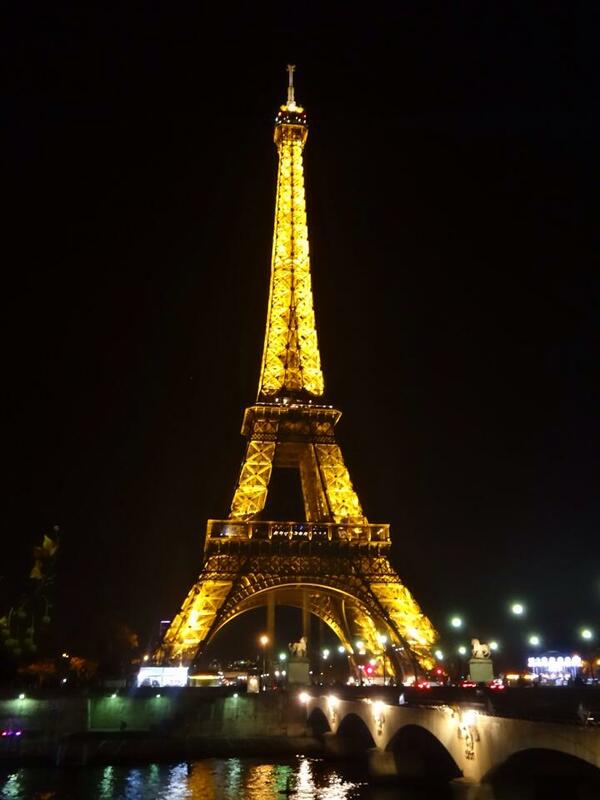 I have visited both during the day (my previous trip) and this round during the night and would say that this time round, I was blown away by the beautifully lit up Eiffel Tower and the night scene of the city from the top. Also, there is usually quite a long queue to go up the Eiffel Tower during the day with friends telling me that they have queued for more than an hour. I was there at around 8.30pm and there was totally no queue so you may want to consider going around this timing. Do go all the way up to the top if weather permits. The view up there is well worth the ticket price. The closest Paris Metro station to the Eiffel Tower is Champ de Mars / Tour Eiffel on line RER C. It is also a short walk from Metro stations Ecole Militaire on Line 8, Bir-Hakeim on Line 6 or Trocadero on line 9. 2) There are free walking tours for Paris so join them. The tour guides will give you more insights of the city and share lovely stories. It’s free and you only need to give tips at the end of the tour (no minimum rate stipulated for the tips). 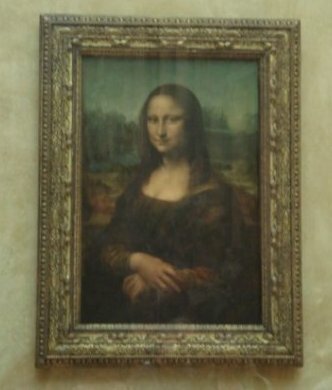 3) Must see sights in Paris include the famous Lourve with its glass pyramid and Mona Lisa, the royal gardens and squares to visit the beautiful Tuileries Gardens & Palais Royal, Eiffel Tower, Place de la Concorde, Arc de Triomphe from Champs-Elysées, Notre Dame, Grand & Petit Palais, Moulin Rogue, etc. A trip to the Montmartre district is worth the effort. Many infamous people like Vincent Van Gogh, Toulouse Lautrec, Claude Monet, Pablo Picasso and Salvador Dali called this eclectic district home. Just take the Metro and it will get you to the station just opposite to Moulin Rogue which is usually the starting point of the walk. 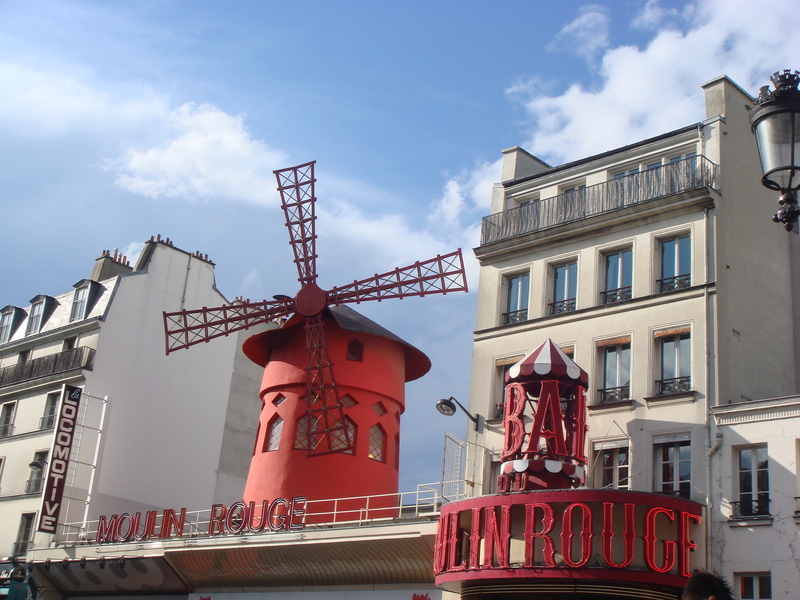 Montmartre typifies all things quintessentially Parisian – from the famous Moulin Rogue with the can-can dancers, to the terrace cafes to romping bars and clubs, to bourgeois-bohemian apartments and the tiny cobblestone streets. There are lots of artist studios, statues of pop stars in this district. The highlight when walking uphill to the church at the highest point of Paris (Basilica Sacré Coeur) is the amazing view of the whole of Paris. 4) My experience in this trip is much better than my last and I attributed it largely to the fact that I can now speak simple French as well as no longer trying to “check off the boxes”. Even though many French speaks English, it may still be worthwhile to learn a few phrases as it is a lot easier to get help and you will also be able to understand the train announcements. Also, I find that you will only be able to feel the vibe of Paris if you just let yourself wander down Seine river, sit in the Parisian cafes and let your heart take you to where it feels like going / doing rather than running around to check off all the boxes. So as you plan your trip, do take this into account and give yourself more time to explore this city. Note that to see the sights that I have mentioned in Tip 3 above, you should spent at least 3 days in Paris to avoid rushing through the sights and also have sufficient time to relax in the cafes and do some shopping. 5) Note that many shops are not opened on Sundays. Do check the stores opening time if you are planning to shop and plan your trip accordingly. I would typically reserve Sundays in most European cities for sightseeing due to this very reason. 7) I stayed at Millennium Hotel Paris Opera, which is located near to Opera and a metro station (Richelieu Drouot) is just across the street hence making it super convenient to roam around the city. It’s a pretty good hotel (4 stars) and of course the best thing is I got to stay in the suite without having to pay anything! Weekend of week 8 was spent in Paris. Took an ICE train to Paris via the super fast Frankfurt/Paris connection which took around 3.5 hours. Romantic Paris indeed. 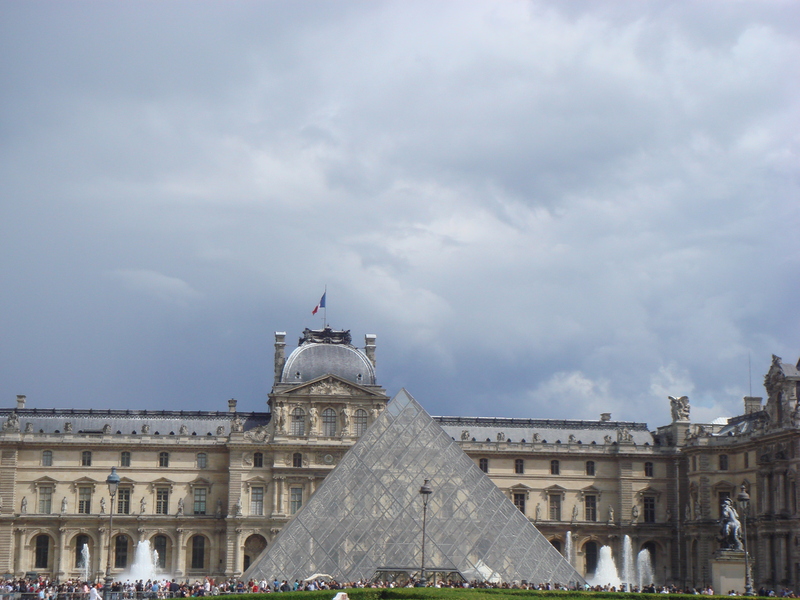 With the Da Vinci Code craze going on, I followed the “roseline” in Paris all the way to Lourve in search of the glass pyramid. Apart from the novel craze, I walked along the banks of the Seine, and through its royal gardens and squares to visit the beautiful Tuileries Gardens & Palais Royal, Eiffel Tower, Place de la Concorde, Arc de Triomphe from Champs-Elysées, Notre Dame, Grand & Petit Palais, Moulin Rogue and Montmartre district, etc. – There are free walking tours for Paris so join them. The tour guides will give you more insights of the city and share lovely stories. It’s free and you only need to give tips at the end of the tour (no minimum rate stipulated for the tips). 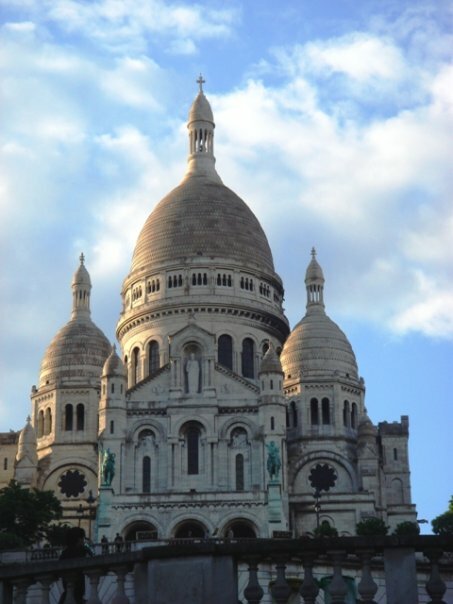 – A trip to the Montmartre district is worth the effort. Many infamous people like Vincent Van Gogh, Toulouse Lautrec, Claude Monet, Pablo Picasso and Salvador Dali called this eclectic district home. Just take the Metro and it will get you to the station just opposite to Moulin Rogue which is usually the starting point of the walk. Montmartre typifies all things quintessentially Parisian – from the famous Moulin Rogue with the can-can dancers, to the terrace cafes to romping bars and clubs, to bourgeois-bohemian apartments and the tiny cobblestone streets. There are lots of artist studios, statues of pop stars in this district. The highlight when walking uphill to the church at the highest point of Paris (Basilica Sacré Coeur) is the amazing view of the whole of Paris. – Shops are not opened on Sundays, yes even for touristy Paris. So if you want to do shopping for your LVs, remember to do so by Saturday.